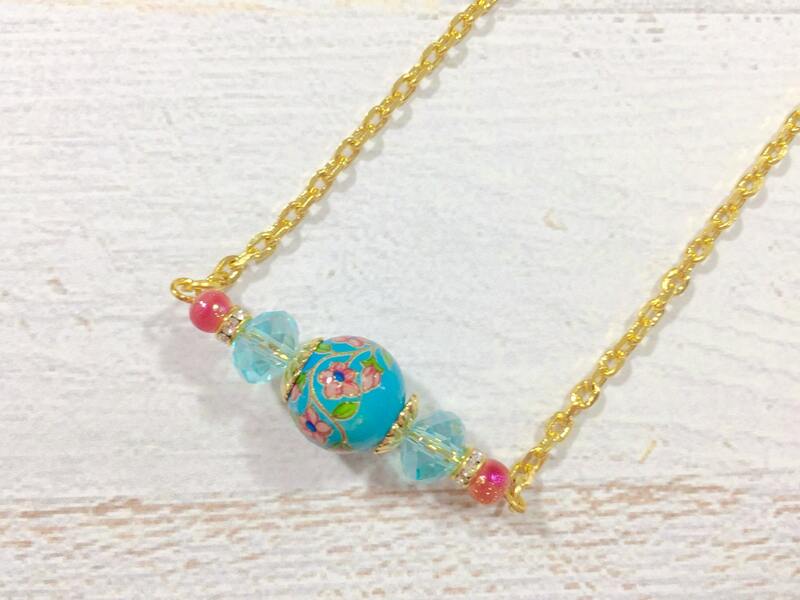 This gorgeous necklace is perfect to stand alone or used as a layering necklace. 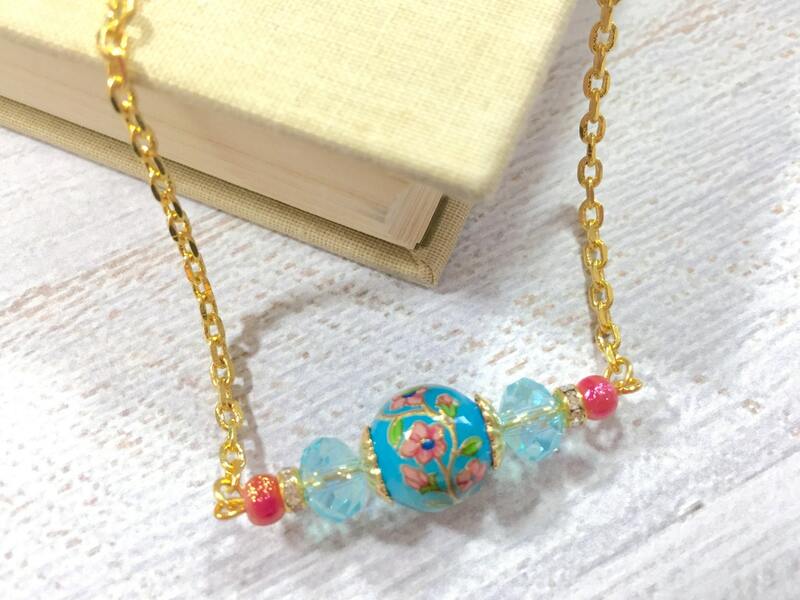 I used gorgeous vintage limoges bead that is teal with pink flowers, pretty sparkling glass beads, fluted brass beads, little rhinestone beads, sparkling pink beads, and gold toned chain and findings to make this necklace. The closure is a lobster clasp. 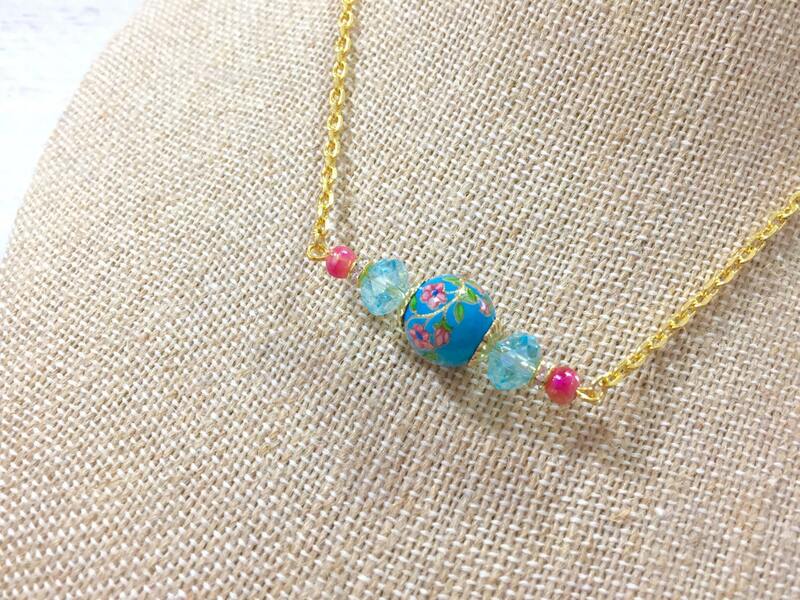 The bar portion measures approximately 1.25" (32mm) in width & the focal bead is just under 0.5" (12mm) in width. You can choose your preferred length at checkout. 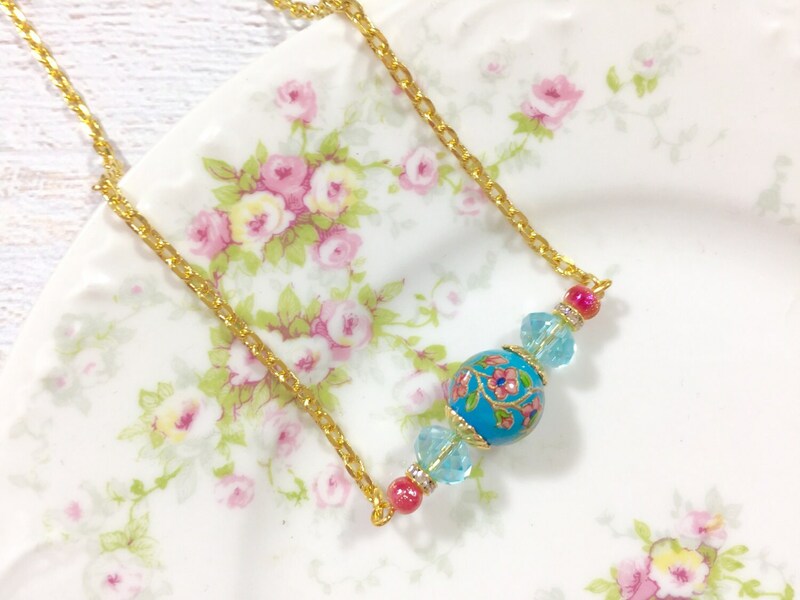 In the last photo, I have shown this necklace with three other necklaces that coordinate well with it. 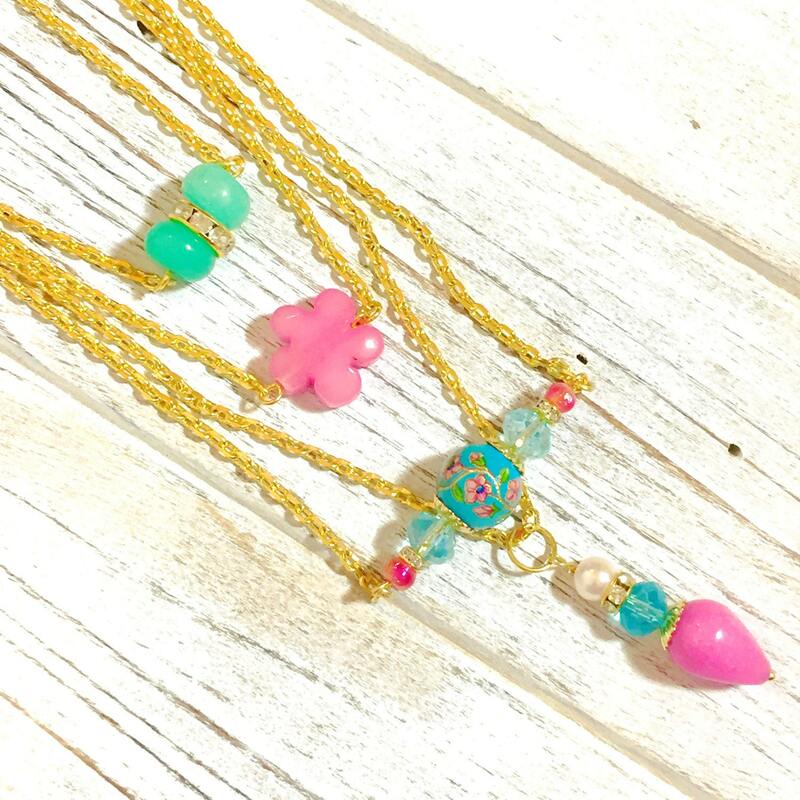 The other three necklaces are available separately.